Bauhaus biographer (and serial compiler and liner-writer for Beggars, Bauhaus, Tones and Tail, Peter Murphy, et al.) Andrew Brooksbank has spilled the beans on some possible tracks for the potential re-releases of Bauhaus’s third and forth studio LPs. 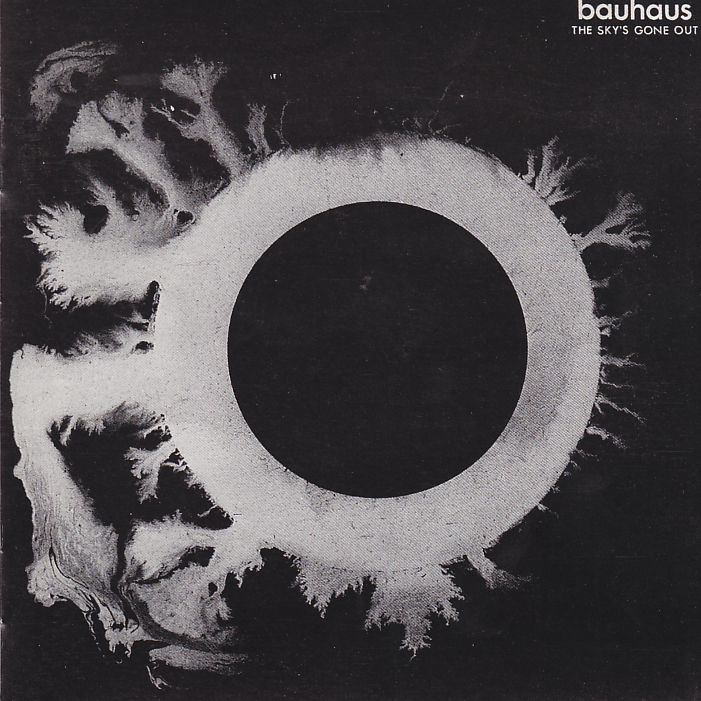 The real expense for Bauhaus would be the re-mastering. We don’t have USA rights on the last 2 albums and, since we originally released the Omnibus titles, the state of retail has got worse. If there are no stores to display the releases, we have to rely on online sales (ie. Amazon) and it’s not the ideal way of presenting a release. The other titles did sell OK but I wouldn’t be confident of selling much more than 50% on Sky’s and Burning. Also the bonus material isn’t especially exciting as the bulk is already available. Realistically, my time is better spent elsewhere as big re-issue projects are a lot of work. However, I’m sure we will continue with occasional releases. Here’s the tentative / working extras we have slated for the Omnibus Bauhaus Sky’s Gone Out and Burning From The Inside: The thing to remember is Bauhaus NEVER over-recorded, with pretty much everything that was taped having secured a release in some form or other as perhaps a B side, etc. (demos aside), or simply left unfinished and re-recorded from scratch if the song became troublesome – Spirit for example The comment of “not using ?” refers to back up selections in case these were required should the masters not provide us with any “surprises”…as quite often they would! Kick In The Eye Riverside mono – not using? Bela Lugosi’s Dead Riverside edit mono – not using? Bela Lugosi’s Dead live Hunger edit – not using? Given Killing Joke’s recent success with PledgeMusic, couldn’t Bauhaus (and the many other bands who may not sell vast quantities) use this method? It would also allow them to produce really high quality packaging. How about an EP of the demo material only. Fans already have the other stuff – although they (I)would buy the whole package again for a typically steep fee, I think they’d pay around half of that for the unreleased stuff – definitely a seller on Pledge? I had much the same thought – even to get the stuff released digitally only, maybe with a souvenir (i.e. over-priced, but we’ll all buy it) limited CD release! Rumours now are that in 2013 there might be the release of the full run of albums in sort of “super deluxe editions”. Again these are rumours which come from importers so nothing is certain. That would be excellent – fingers crossed. I still think a Pledge Music (crowd-funding) thing may be the best approach. I, like mnay fans I expect, really only want the extras – not badly mastered versions of LPs (all pushing the loudness button too hard).